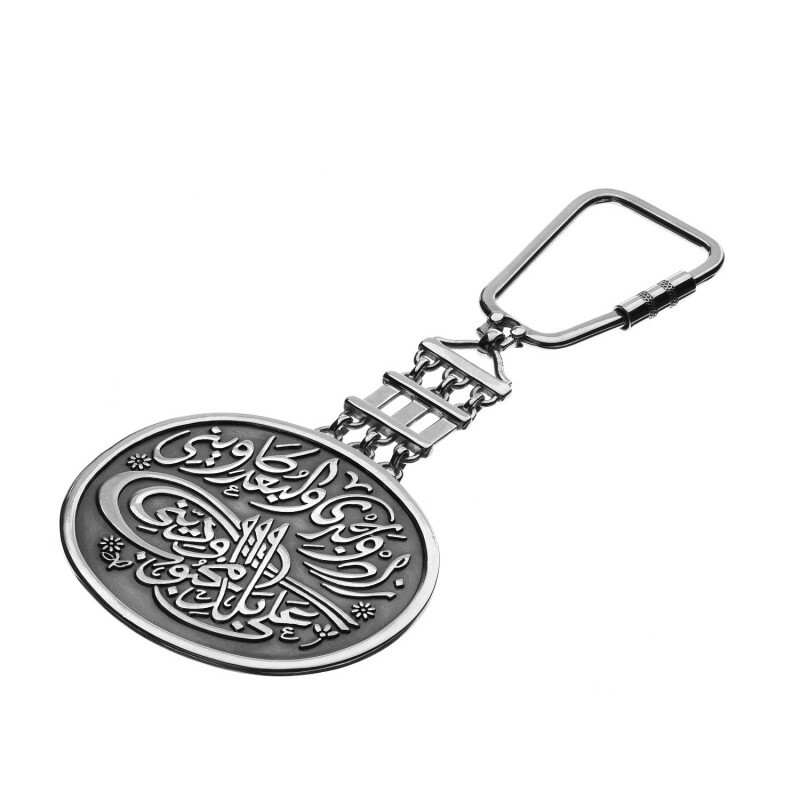 An unusual men’s sterling silver key-chain engraved with calligraphy, words by Egyptian poet Ahmed Ramy and sung by Egypt’s voice Umm Kulthum in 1935. Words by Ahmed Ramy, composed by R. Sonobaty 1935. 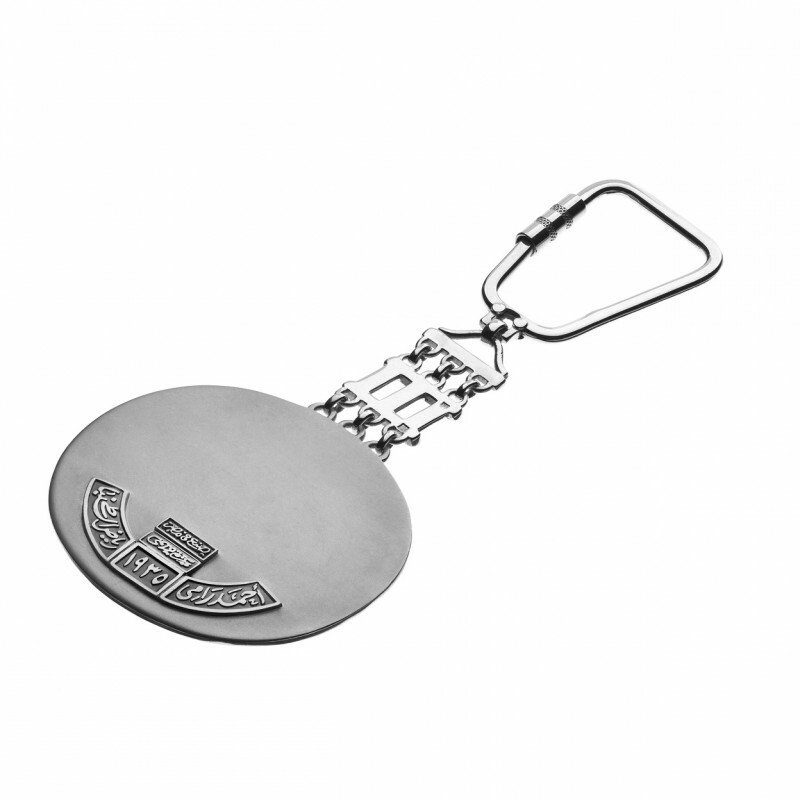 The Men’s Line combines various designs ranging from cuff links and rings, to necklaces, bracelets, and key chains, all introduced with a blend of sophistication and originality. A fusion of gold and silver, along with various incorporations of different stones, geometric details, and signature Azza Fahmy calligraphy, marks the striking assortment.